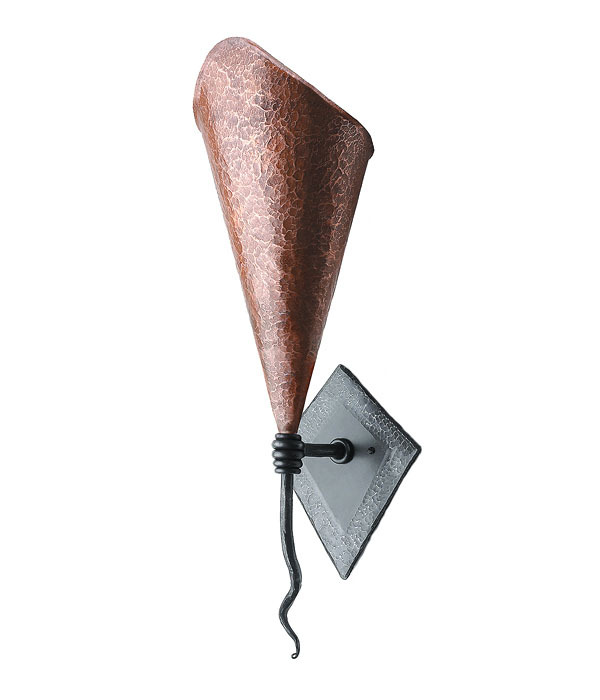 The fold of copper that serves as the sconce’s shade reflects the same shape of a lily’s petal. In fact, it was the flower’s simple beauty and warm, organic form served as the inspiration for the design. To continue the organic look of the lily throughout, its shade has been hand-pounded-an effect that is mirrored on the perimeter of its steel base. And, finishing off the details is a soft curve of steel at the bottom, anchored to the lamp with five circular rings. Dimensions: Width: 7" - Height: 24"